I thought I would try another sailor moon wallpaper! :D I think it turned out very well! I retouched the scan to look light and airy and added a glowing pair of wings. I decided to surround her with sparkles and also imbue a light second scan in the back. I hope all of you like it! Pink is a great color. I love eternal Sailor Moon!!!! im adding this one to my fav's! very cute! 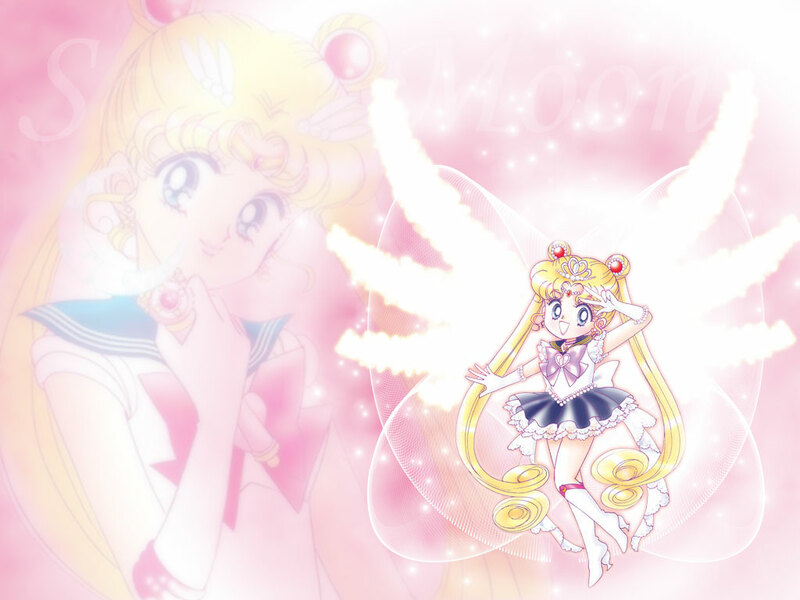 I love your wall paper Sailor Moon looks so Kawaii in that pose and then you blended it perfect! Adding another one of your walls to my favs! so cute! i just need to have a copy! that is the cutest pic of her i have ever seen!